Composed of two comfortable double rooms furnished with refined and personal taste, large living and relaxing area, kitchen equipped with new appliances and equipped with accessories, bathroom with shower. Parking space in the property. full bathroom with shower, toilet, bidet, sink with mirror and storage unit. hairdryer, towel rack and bathrobes. THE APARTMENT AND 'IDEAL FOR HOLIDAYS IN FULL RELAX TWO STEPS FROM THE BEACHES AND THE CITY CENTER, WITH CAR PARKING IN PRIVATE PROPERTY'. 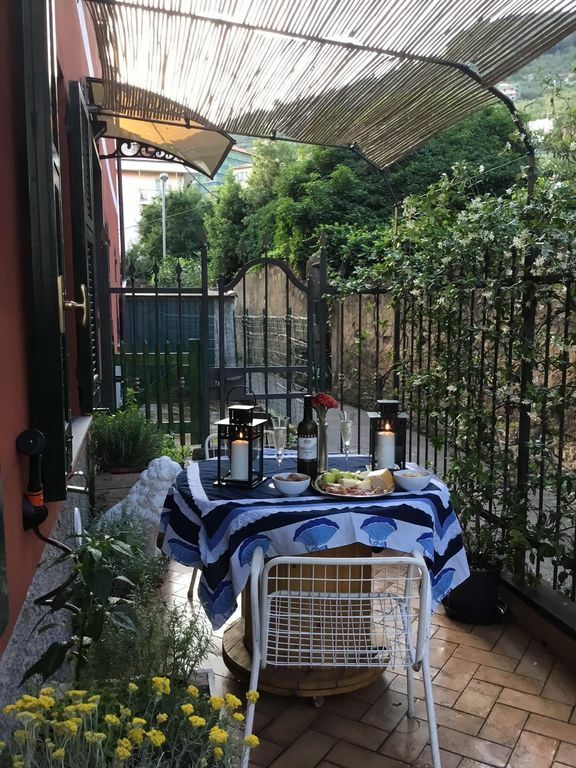 Located in a quiet and comfortable environment to all amenities, the apartment, equipped with every comfort, located on the ground floor of a typical Ligurian building from the early '900 completely restored and surrounded by a private garden. Guests can choose to enjoy the relaxation of the nearby beaches and shopping in the historical center, or take advantage of the great location as a starting point for unforgettable trips to fascinating destinations such as Portofino, S. Fruttuoso with the Christ of the Deep dive and its bays of green and crystal clear water, the Cinque Terre and the most panoramic views of the Tigullio, the mines of Gambatesa the discovery of mineral resources and still many other unforgettable places to explore .